There’s no reason to be ashamed of it: most people in the world don’t track expenses. The fact that you don’t comes as no surprise. Nor is it any surprise that at the end of the month you usually end up wondering where all your money went. If only you hadn’t…what? Bought that thing you can’t remember? See, you didn’t track your expenses, so you don’t know what you should be cutting back on. Let me give you some serious numbers. These aren’t easy numbers to accept, but they’re real. And, of course, many people are just in tough situations so it’s hard for them to get a grip on their finances. But for the others, it just comes down to bad financial planning. If you’re broke by the end of the month, not reaching your finance goals or just unsure of where all your money went, we have two words for you: track expenses. If these numbers didn’t convince you to start to track expenses, these 9 other reasons will. It’s a first advantage of deciding to track expenses: knowing exactly where all your hard-earned cash is ending up. You’re not sure if you spent a normal or large amount on groceries, phone, coffee or anything else. And this is especially true since you’re probably trying to save up for something big—or just trying to cut back. But how can you cut back on expenses when you don’t know what your expenses are? When you know where your money goes, it’s the first step to really getting a hold of your expenses. We’ve mentioned discretionary expenses before when talking about important invoicing terms, but just to reiterate: it’s a “want” and not a “need”. Needs are usually fixed expenses, such as rent, mortgage, etc., but they can also fluctuate and blend into “want.” We all need clothes and food, but do we really need that $800 Boss leather jacket or the 5-course meal at that fancy restaurant? Probably not, and there’s no justification for it. When you track expenses, you begin to see where your money goes (point no. 1) and then you’ll see exactly what is more important: to save money, be financially independent, or look fantastic in that Boss jacket? When you put it like that, the answer is easy—I hope. When you’ve learnt where your expenses are going and what your priorities are, you’ll naturally become more and more disciplined in your expenditures. It’ll be hard at the beginning, as all good things are, but soon you’ll find yourself getting into a routine. Discipline is only necessary as a start—after that it’s routine. Once you put your mind on your money and track expenses, you’ll see how easy it is to keep yourself in line and your hands out of your pocket. And then you’ll get more organized in your habits. But instead of writing everything down on napkins or keeping receipts in ye olde shoebox, you should probably go with online expense tracking. 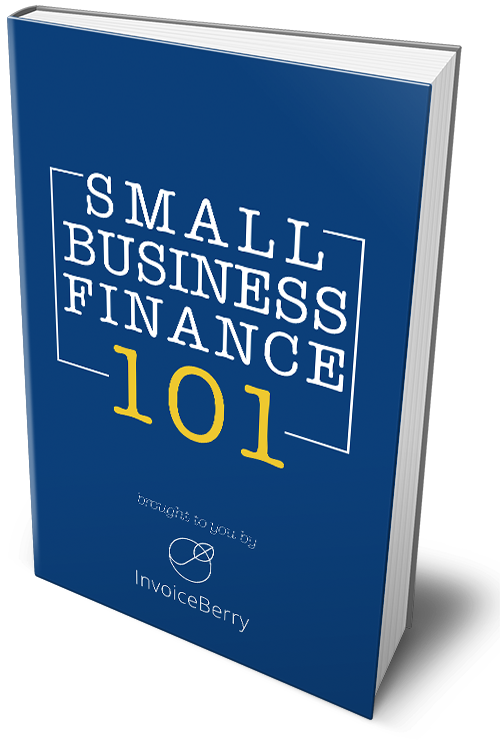 That’s what we do here at InvoiceBerry as part of our online invoicing software, and it’s helped thousands of people become more successful in their business. This point isn’t about being disciplined. It’s just an eventual consequence of the decision to track expenses. Now you’re not just focused on being more careful with the money you have, but you’re actually reading and learning more about making more money. This is important because, after you’ve gotten to a good level of tracking expenses, cutting back and saving, what do you do? You need to start growing your money, and when you think about it, you’ll be able to plan better. When you’ve been tracking expenses for a while, you’ll begin to get in the flow and you’ll know how much in general you’re spending on certain areas. But at this moment, before you track expenses, you don’t know if you’re spending more or less on food, clothes, or electronics compared to the last few months. When you do track expenses, you’ll see where those dangerous areas are. For those Americans I mentioned above making at least $75,000 and living paycheck-to-paycheck, they can’t control their problem spending areas. They spend too much on their lifestyle purchases. When you track expenses, you’ll be able to see those problem areas before they become big problems. A family that budgets together stays together? Sure, why not. But money is one of the most difficult conversations to have in a relationship or as a family. It isn’t an easy topic to talk about, and so most people tend to avoid it. However, when you decide to track expenses in order to make a budget, for example, you know you’ll have to talk about money. This makes it easier to do so. Although it’s tough in the first few weeks, after real progress is made, you’ll see how uniting of an experience it is. If you don’t know where you’re going, how will you know when you get there? Goals are crucial for progress, and when you track expenses it’s much easier for you to set accurate goals. Say your goal is to save enough money to go on vacation to Fiji. You know you’ll need about $3000 for two of you, and with the hotel and everything that’s easily $5000. Or you want to cut back expenses in general and have $5000 saved up by the end of the year. Now, if you track expenses, you’ll know exactly how close or far away from your goal you really are. And when you can accurately measure your progress, you can adjust, adapt and ensure you reach your goal. If you’ve seen Lunch Money Lewis’s video for “Bills” or heard the song, you know that scene where he’s hoping he has enough money in his bank account to make the purchase? It’s a fun song, but for many people this is a reality. You don’t know how much you have in your account because you don’t track expenses. You don’t know if you have enough to make this purchase, buy this food, pay that rent, buy those diapers, and you start worrying. Or you just worry in general because your money is flying out of your pockets and you know just one accident or emergency will send you off the rails and put you in the poorhouse. Or you can just skip that worrying by knowing exactly what your financial situation is. In 2010, the FTC discovered that a group of hackers had been using a multiyear, sophisticated scam to steal millions of dollars from average Americans. What they did was make small charges ranging from 20 cents to $10 to people’s credit card accounts. Now, most probably wouldn’t notice a $10 charge from Presi, WELLE, or any of the other fake company names they used. But if you track expenses, you would go over each charge and note what the expense was for, when, and why. Unauthorized charges (or credit card fraud in general) happens a lot more than you think. But with your eagle eyes developed by tracking your expenses, you’ll catch it quickly and get your money back. There’s no really good reason not to do it. Being too busy or too tired are bad reasons. Being confused by accounting procedures and Excel sheets is a normal response too. But if you’re on one of InvoiceBerry’s plans, including Forever Free, you’ll be able to easily track expenses. No complications. No fuss. No excuses. Are you tracking your expenses? What are your best budgeting and expense tracking tips? Let us know in the comments below!